By priming brain circuits, associations between low-salience stimuli often guide future behavioral choices through a process known as mediated or inferred learning. However, the precise neurobiological mechanisms of these incidental associations are largely unknown. Using sensory preconditioning procedures, we show that type-1 cannabinoid receptors (CB1R) in hippocampal GABAergic neurons are necessary and sufficient for mediated but not direct learning. 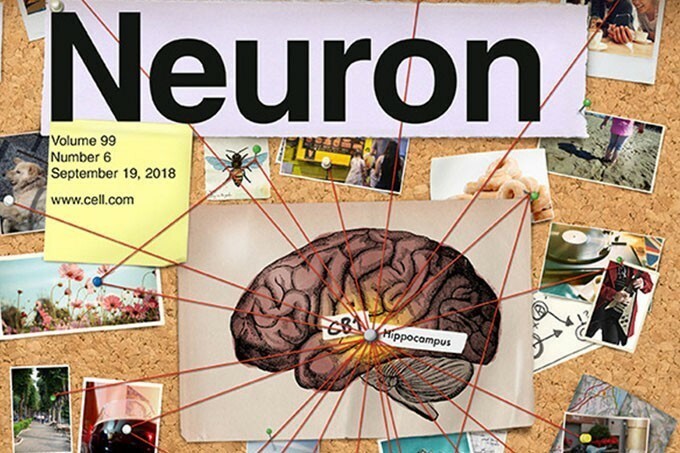 Deletion or re-expression of CB1R in hippocampal GABAergic neurons abolishes or rescues mediated learning, respectively. Interestingly, paired presentations of low-salience sensory cues induce a specific protein synthesis-dependent enhancement of hippocampal CB1R expression and facilitate long-term synaptic plasticity at inhibitory synapses. CB1R blockade or chemogenetic manipulations of hippocampal GABAergic neurons upon preconditioning affect incidental associations, as revealed by impaired mediated learning. Thus, CB1R dependent control of inhibitory hippocampal neurotransmission mediates incidental associations, allowing future associative inference, a fundamental process for everyday life, which is altered in major neuropsychiatric diseases.